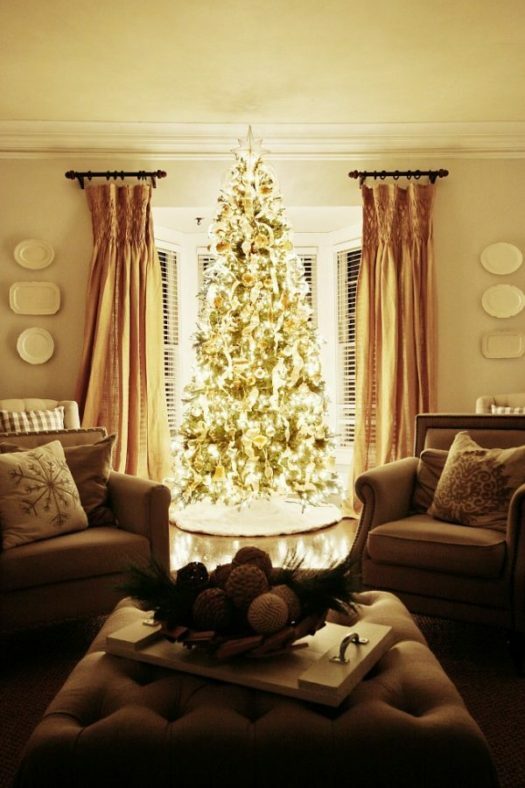 An avid DIY-er, KariAnne Wood lives with her husband and children in Texas. 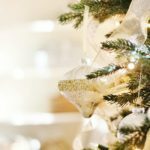 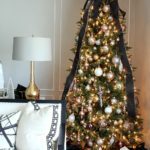 She showcases her many home décor projects and shares her family’s adventures in her blog, Thistlewood Farms. 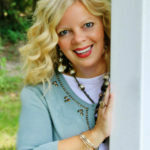 KariAnne is a public speaker and a published author, both platforms where she shares tips, ideas, inspirations, and insights on life lessons and home transformations. 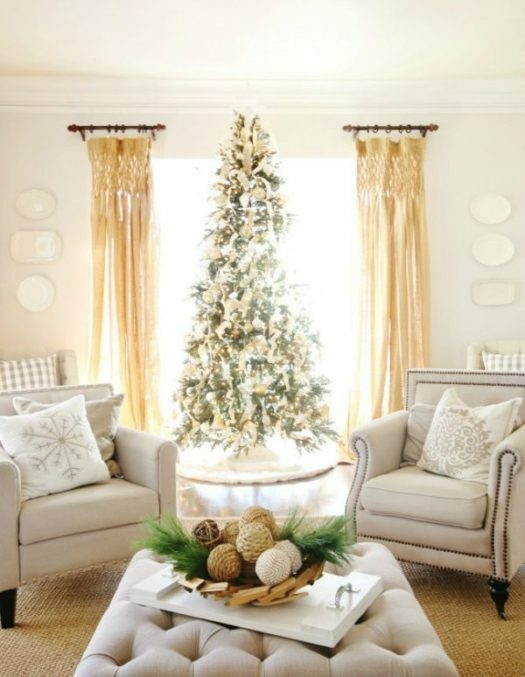 With an abundance of whites and neutrals, this decorating theme makes a delightful focal point in bright and airy spaces. 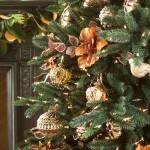 KariAnne chose a stately Norway Spruce Narrow Tree with deep green foliage enriched by light green accents. 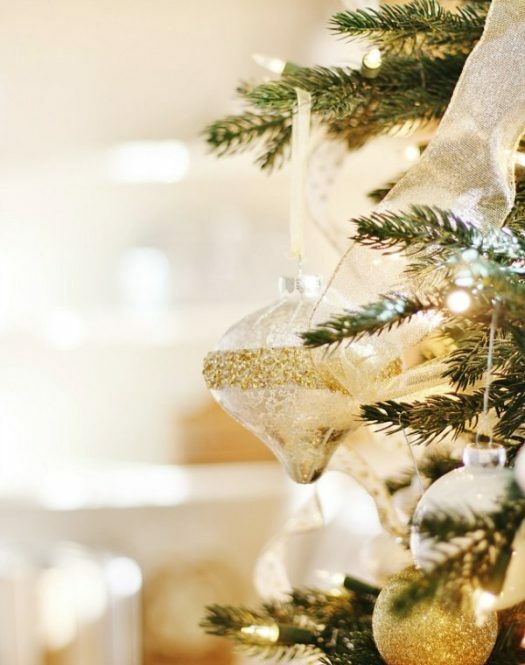 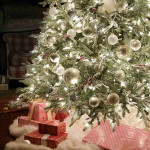 She hung sparkly gold ribbons as well as white-and-gold polka dot ribbons that cascaded down the tree. 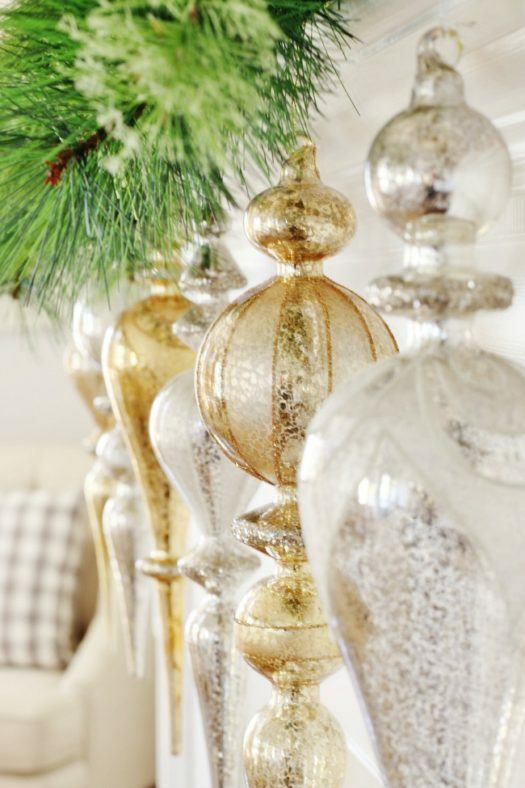 Silver and Gold Glass Christmas Ornaments lent a lustrous touch to this glimmering centerpiece. 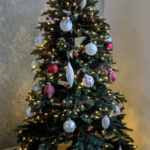 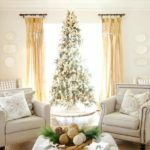 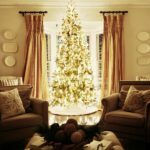 The ivory-colored Lodge Faux Fur Christmas Tree Skirt covered the base of the tree for a rustic yet sophisticated appeal. 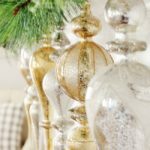 For added color and texture to the room, she also lined up large glass finials along greenery on a nearby fireplace mantel.